The cafe is opposite Roys in Bowthorpe shopping centre. Inside it felt quite depressing and lacked any atmosphere. The one menu I eventually found contained a selection of breakfasts served all day. Economy ketchup and an almost empty salt pot didn't exactly fill me with much hope! A little jar on the table containing what looked like coffee beans, perhaps things were looking up and they served a decent coffee here! Sadly not though, a really cheap instant coffee cost £1.20 and didn't taste of much at all. Oh dear.. Not a pretty sight. The crunchy hash brown was probably the highlight of this breakfast, the portion of beans on this gutbuster breakfast was tiny. A gutbusting one cherry tomato cut in half and around two mushrooms sliced. Burnt fried bread and eggs covered in black stuff from the griddle. The cheap economy sausage sunk in despair as I cut through it..
Bowthorpe shopping centre cafe had been on my "places to visit soon" list for a long time, with a morning to spare I headed out to Bowthorpe to finally see what the breakfast being served there was like.. 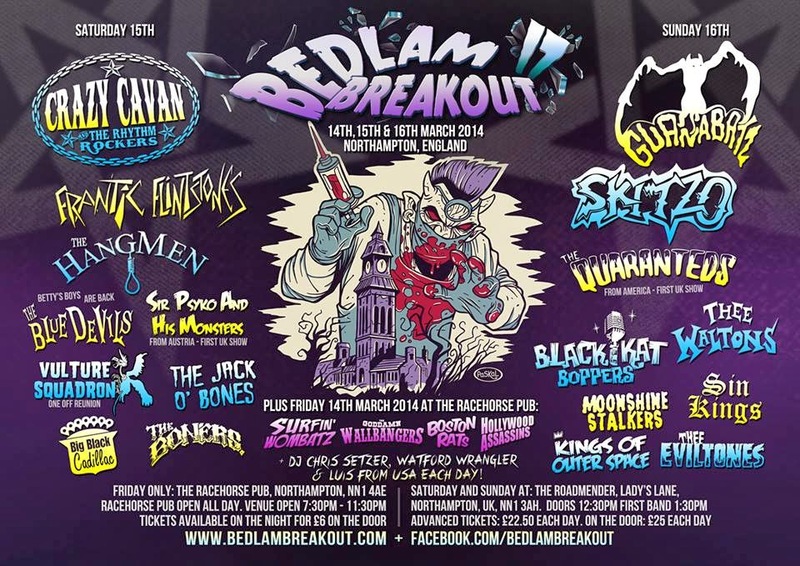 It was Bedlam Breakout time again! The perfect excuse to inspect another breakfast in Northampton. Buddies is located on Dychurch Lane inside the old mission school, there is plenty of signage so it is easy to spot. I love New York too, it is my favourite place I have ever visited. You can read about my 2013 New York food adventure here. A selection of American themed breakfasts are on the menu, look at the menu closer here. The walls and ceiling are covered with American stuff. There are plenty of booths to sit at in different sizes. Bottomless tea and coffee is always great value for money. The filter coffee was good, the American theme continues onto the mugs and saucers which is a nice touch. Trivial pursuit cards keep you entertained whilst you wait for your food to arrive. The menu's are huge and the ketchup is Heinz. Everyones toast arrived together on one plate with plenty of butter. This was the New York breakfast which cost £9. The sausages looked a bit overdone but tasted good. A nice pair of eggs with runny yolks. Not the most visually appealing bacon I have been served but it tasted ok.
Its not often that four hash browns arrive on a breakfast. the mushrooms were very oily but tasted great. I was happy to see the beans served in a pot but surprised it was a disposable polystyrene one, it certainly did the trick but visually cheapened the appearance a bit. An enjoyable enough breakfast that kept me going all day. My wife went for the veggie breakfast which also cost £9, the veggie sausages were really nice and this one featured plenty of tomatoes. The bill arrived at the end with some mint humbugs, nice! Last time I was in Northampton I ate breakfast at Jenny's Cafe, a decision which was not a particularly wise one! This time my wife and I were meeting our friends Mike and Michelle for breakfast and it looked like Buddies in the town centre was going to be a good option. 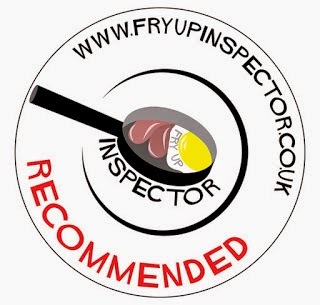 I had previously visited Buddies USA in Rushden and enjoyed it (Read the review here) With Buddies in Northampton opening at 11.30 we would be eating breakfast a bit later today..